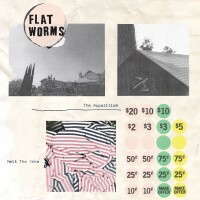 The Apparition / Melt the Arms is the third release from Los Angeles band Flat Worms (Tim Hellman, Justin Sullivan, Will Ivy) on New York's Famous Class Records. The 7" single follows their debut LP on Castle Face records. These songs were recorded with Ty Segall in his home studio during a global heatwave. "The dream was an apparition." - Teju Cole Open City. 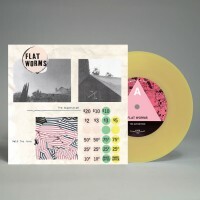 Flat Worms consist of Will Ivy (Dream Boys, Wet Illustrated), Justin Sullivan (Night Shop, Kevin Morby, the Babies) and Tim Hellman (Oh Sees).